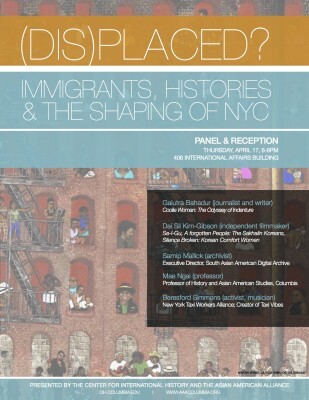 What is the place of history in the shaping of narratives in and about immigrant communities in New York City? Immigration is often told as a story that begins with rupture and ends with assimilation – of severing roots, and building new ties. Yet, so often in New York with an immigrant population of 3 million, there are a richer, more complex stories to be found, archived, and told. How do immigrant stories shape New York, the “majority-minority” city? 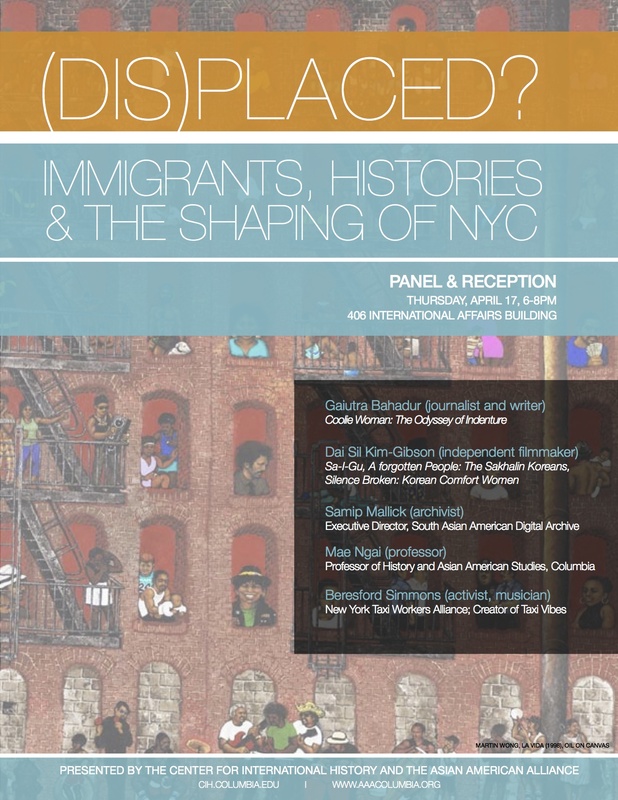 Join the Center for International History for a panel discussion as we navigate the question of immigrant histories and the shaping of NYC — through film, through literature- academic, fictional and journalistic- through music, archiving, and activism.